You’ve got more color choices when it comes to basic flip phones this holiday season. The Nokia 6350 Graphite is cool for guys. How about a free Nokia 6350 Red for the ladies? In fact, there are many red AT&T cell phones to choose from and you don’t have to limit yourself to just flip phones. Put more holiday tunes into this little Red Nokia 6350 phone and enjoy them while you are on the go. With external storage of up to 16 GB, super easy music controls, plus Stereo Bluetooth support – it’s a music phone by nature. 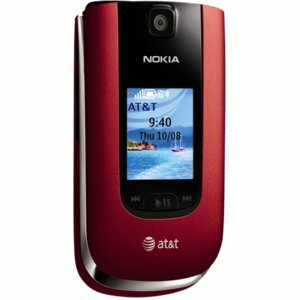 But there are so many more you can do with this free Nokia 6350 Red for AT&T. Sharing photos and videos taken from the 2.0 megapixel camera is always easy with just a few clicks…and it’s a International phone that works in over 130 countries!